- Households dispose of solid wastes through service companies or transport solid wastes to the designated areas or landfills themselves. 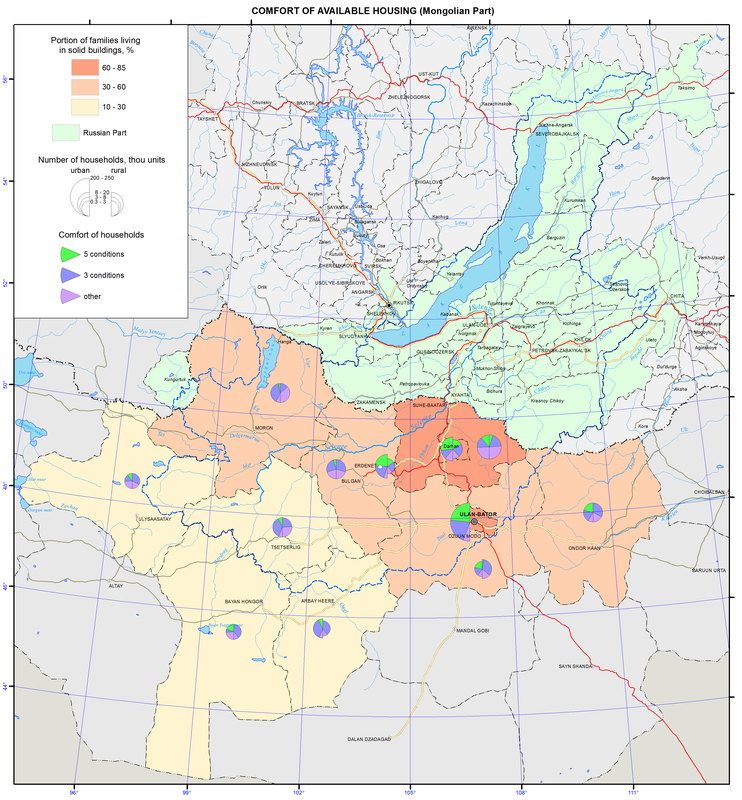 In Mongolia, more than two fifths of households (42.3%) living in permanent structures (buildings) use a centralized sewerage system, 0.4% use an independent sewage system, almost a half of households (48.3%) discharge wastewater into cesspools and 9% – on the terrain (directly into the ground). National Statistical Office of Mongolia. (2011). Population and housing census of Mongolia 2010: Housing conditions. Ulaanbaatar.